Bill Staff … was honoured with a Medal of the Order of Australia for his contribution to Rylstone. Bill Staff had a lifelong passion for the people of Rylstone and published six books about the small country town. He was a teacher but the endlessly energetic family man was also an admired historian, classically-trained musician, keen dramatist, mentor and generous community contributor. 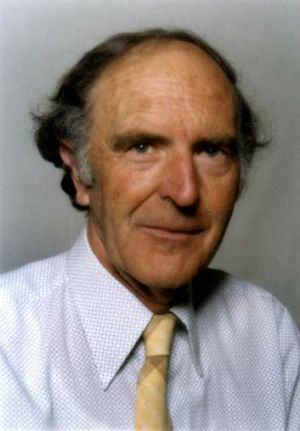 William Francis Staff was born in Rylstone on February 6, 1918, the son of Frank Staff and his wife, Mary (nee Foodey). He was delivered in the bedroom of the family’s Mudgee Street home and was an only child, after his older sister, Mary, died in infancy. The fifth generation Australian became vice-captain and dux of Kandos High School. He also represented the school in tennis. He was a keen learner and an avid reader from a young age and was awarded a full academic scholarship to Armidale Teachers College. The college had an impressive collection of original artwork donated by the businessman Howard Hinton, which sparked Staff’s lifelong love of art. He also became infatuated with the extensive library and read obsessively. His first teaching appointment was at Charbon, 10 minutes south of Rylstone, in 1939 and in 1942 he was transferred to Curryall Public School. It was at Yearinan near Coonabarabran, where he taught from 1945, that he met Mary Redden at a Catholic youth group. The two connected through a mutual love of poetry and married in 1953. Staff had returned to Rylstone in 1952, and became principal of Kandos Primary School, which is just 7 kilometres out of town, where he taught from 1958. A decade later, he became principal at Rylstone Public School, where he remained until retiring in 1981. 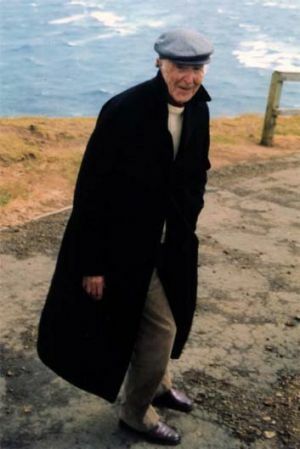 Outside of his formal work, Staff avidly traced the history of his beloved community and in 1963 he established the Rylstone District Historical Society, of which he served as president for 36 years. He hand-wrote and published six books about the town. He also founded the local dramatic society and produced plays for the locals for more than 40 years. Gilbert and Sullivan’s operettas were among his favourites. He was appointed to the St Vincent de Paul Society and spent decades on the Catholic parish and diocesan councils. In 2002, he was honoured with a Medal of the Order of Australia for his contribution to Rylstone. Staff was a man of deep faith and a devout Catholic. He played the organ and led the choir at Sunday Mass at St Malachy’s Catholic Church, assuming the role from his mother when she died in 1952. Until entering an aged care facility in his later years, he claimed to have missed Sunday Mass only once in his life. His loyalty to the faith and commitment to the local church was acknowledged in 2007 when he and Mary were awarded the Cross of Honour papal medals. Staff was a Renaissance man, educated in classical music, poetry and literature. He was a gifted musician and could confidently deliver a tune on a flute, piano, guitar, accordion or almost any instrument. He taught music to local students and tutored piano until he was 85. He spread his love of poetry to anyone who would listen and many of his grandchildren can recite Banjo Paterson. He also had a great sense of humour and many will remember his eclectic vernacular, which included the expressions “wacko” and “hokey smokes”. Bill Staff is survived by Mary, children Conrad, Michael, Corinne, Genevieve and Fleur and 13 grandchildren. Source: Sydney Morning Herald, obituary, http://www.smh.com.au/comment/obituaries/renaissance-mans-love-for-small-country-town-20120520-1yyps.html, accessed 26 November 2015.